A pain around the teeth is commonly referred to as toothache. It is one of the most common problems among people at all ages. Poor oral hygiene is the main problem that causes toothache. Soul smell and taste etc. First you should visit the dentist when you have toothache. 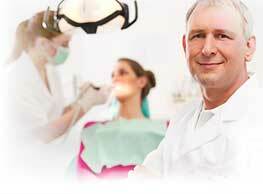 If the pain severe, you should immediately seek the help of your dentist. He/she will give medications to lessen the pain temporarily. After that, the doctor will try to find the cause and according to which plan the treatment. During diagnosis, the dentist will conduct a physical exam. He/she will ask for your previous medical history. The doctor will also ask about the pain. After examining the teeth, gums, jaws, tongue, throat, ear, nose and neck, he/she will also suggest for an x-ray and some other tests if required. Treatments for toothache may vary according to the cause. If the toothache is a result of the dental cavity, the doctor may suggest for a dental filling or tooth extraction. If the infection has affected the tooth nerve, root canal will be the best treatment option to cure it. A photo-therapy and cold laser may also be used to reduce pain and swelling. Toothache Treatment in KochiToothache Treatment in MaduraiToothache Treatment in ChennaiToothache Treatment in New DelhiToothache Treatment in BangaloreToothache Treatment in HyderabadToothache Treatment in SecunderabadToothache Treatment in MumbaiToothache Treatment in Greater NoidaToothache Treatment in AhmedabadToothache Treatment in Whitefield.